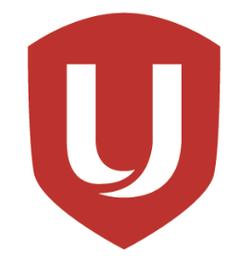 ​Unifor 4050 is a amalgamated Local with 12 units in 50+ locations with 1600 members throughout Alberta and Saskatchewan. Our members work for Cascade Carriers Ltd., DHL Express, Fairmont Chateau Lake Louise, Fairmont Regional Linen, Fairmont Palliser, Foremost Industries, Loomis Express, TST/Pedersen, Waste Management, Tracker Logistics and Pincher Creek Co-op. Unifor Local 4050 originated from the Canadian Brotherhood of Railway, Transport and General Workers Union (CBRT&GW) Local 50 until 1994 when it merged with the Canadian Auto Workers (CAW) and became CAW Local 4050. On Labour Day weekend in September of 2013 an historic creation of a new Union was formed. The Canadian Auto Workers and the Communication, Energy and Paperworkers Union (CEP) joined together and formed Unifor. Unifor now represents over 300,000 workers from coast to coast to coast in nearly every sector of the Canadian economy. Since 1994, Local 4050 has grown to 12 units and 1600 members representing workers from as far north as Fort McMurray to southern Alberta in Pincher Creek and from Lake Louise to Yorkton Saskatchewan.